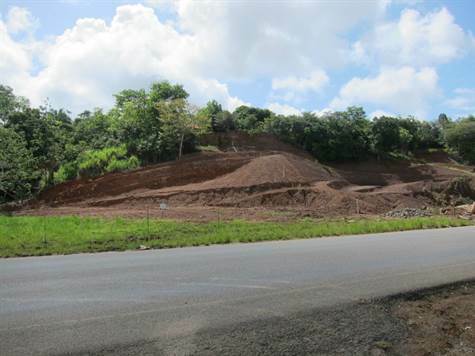 Located, literally, in the heart of the growing commercial center of Uvita Costa Rica, this is a perfect commercial property for future business development. Situated right on the main highway and artery between Manuel Antonio and Panama, Uvita is quickly becoming a business center for banking, tourism, construction and many more industries. Uvita is the entrance to the only National Marine Park in Costa Rica and a growing tourism segment in the country. This property is between grocery, banks, restaurants and tour operators. For the business minded seeking the very best location available, this is it.